Get the recall but don't get the job? Expert at acting but can't put a song across? Want the best possible audition advantages? Match your casting to your repertoire - As a West End pianist with more than 8,500 West End theatre auditions and 25 years of Musical Theatre experience under his belt, Jeremy has a vast repertoire of songs and roles, and can help you find the songs that truly show your strengths and fit the casting and musical requirements. "You guys are better than voodoo!" Nancy on her Successful Singing Auditions coaching. Your voice, your story, your song - Auditioners know the value of the personal touch. Find your personal version of the song, even those tired old standards that everyone cranked out "in college". 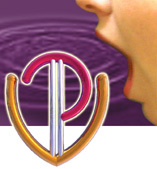 Jeremy can help you reinvent your current repertoire to fit your current voice, casting and energy. "Jeremy's strength is his ability to interpret the music and his innate talent for grasping the "feel" of the material... each song you work on, truly becomes yours." Same song, different audition - This is a speciality of Jeremy's - many of his clients use a small repertoire of songs, but change their style, subtext and sound to match the role they are auditioning for. One client used the same song for a classic book musical, then a Fosse musical, and then a pop show with equal success. You don't have to learn hundreds of songs to be successful! "Just to thank you really for all your help with the concert. It went really well and there were people there who haven't heard me sing for ages. They were all really impressed with how I sang, and said they couldn't believe how much my voice has changed This is all down to you and I really couldn't have achieved that without your help. You are worth your weight in gold!" The last minute audition - Often actors will get music emailed to them a couple of days before the audition. Even if you read music, this is challenging, and it's terrifying if you learn by ear. Jeremy specialises in last minute auditions. And once he has coached an actor in person, he can also do telephone and Skype coaching for emergency sessions. For example, an intensive session for a Lion King client was followed by emailed MP3s for song learning and a question and answer session for confidence. "Yippee! I have an audition tomorrow and I'm looking forward to it!" Song learning - Using the "Learn a song in 20 minutes" routine from the Successful Singing Auditions book, Jeremy can help actors who don't read music to embed words, rhythm, melody and performance in one session, leaving the rest of the time free to polish the interpretation before the audition. 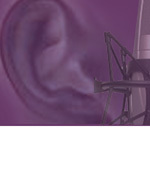 "My Vocal Coaching session was Excellent. Fun, nice tough and enlightening!" Click here now to visit the new Singing and Performance Coaching Calendar for available sessions. "The coaching with Jeremy, prior to [the Beauty and the Beast] audition, helped me feel totally prepared and in charge of my material. Jeremy really helped me understand how to work existing material to fit the character and style of show and how better to match my ‘type’ and look to the role. He is great at working through all aspects of the song and whole audition in detail, building confidence through knowledge and thorough preparation and offering the performer a new way to view the audition process. He has a vibrant and humorous approach, strongly performance focused, which is both demanding and reassuring and I would wholeheartedly recommend his coaching sessions." you need to be a professional or a professional-in-training and serious about your performing to benefit from his level of coaching. Jeremy doesn't work with beginners or amateur singers. Jeremy works in detail and at speed, so you need to bring something to record your session. You won't need a large number of sessions to benefit from his coaching. After the first consultation session, it's best to book a short burst of sessions close together, or if that's not possible, to contact him for short-notice availability. Lessons are an hour or 90 minutes and are focussed entirely on you and your needs that day; it could be a mixture of vocal and performance techniques, song learning solutions, troubleshooting and audition advice. Due to his performing and writing commitments, Jeremy's sessions are in demand. If you need to cancel a lesson you must give at least 24 hours notice, otherwise the full fee will be charged. Jeremy works regularly with clients performing on tour in Australia, New Zealand, Canada and across Europe, by Skype or Facetime. Contact him to find out more about this cost-effective option. 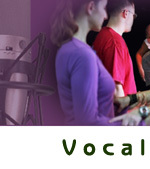 First visit the live Singing and Performance Coaching Calendar on the Vocal Process website. This is updated daily, and will show any available coaching times. You can then email Jeremy on privateclient@vocalprocess.co.uk to confirm, or ring the Vocal Process number at the bottom of this page. Payment can be made by Paypal or Credit Card beforehand. Jeremy's cancellation policy can be viewed here.